Yesterday’s Greatest Golden Bear Collaborations | A Continuous Lean. 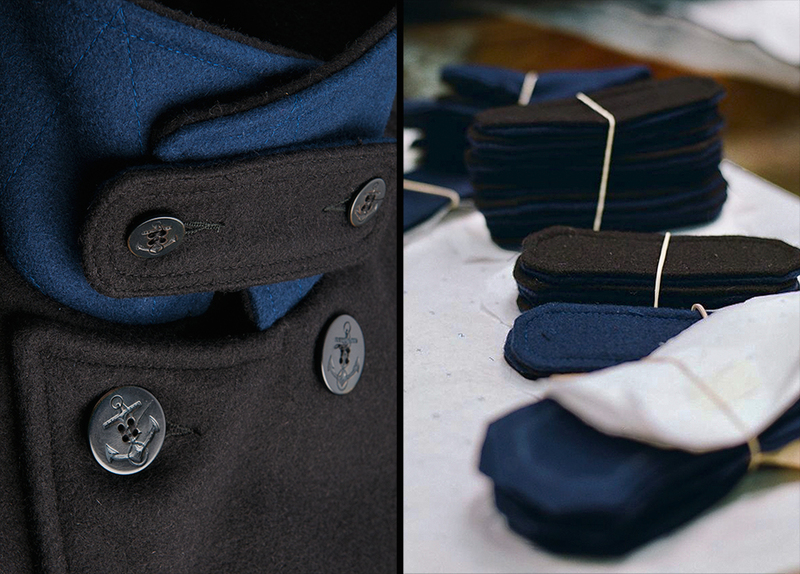 Born on the bay in 1922, Golden Bear’s original intention was to clothe the dockworkers that labored day and night at the port of San Francisco. Temperatures out near the water used to plummet on those foggy California nights, but those longshoremen still had to get the job done, so Golden Bear’s jackets became their armor, shielding them from the crisp air coming off the sea. 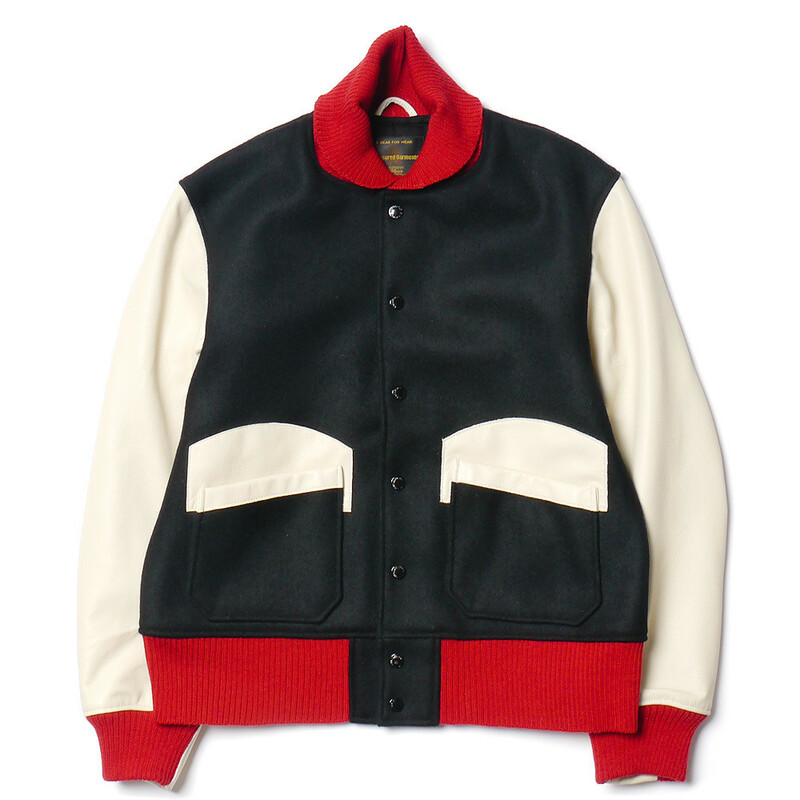 Today, much of Golden Bear’s clientele is less concerned with the jackets utilitarian merits, and more focused on their aesthetic properties, as the varsity jackets and bombers that comprise the brand’s collections have become highly sought after once again. Where Golden Bear truly thrives is in their countless collaborations that they rack up each year. Brands and stores from all over the map make the pilgrimage to California to work in partnership with Golden Bear to create truly unique renditions of the brand’s time-tested outerwear. Last year Golden Bear was particularly busy, and so we decided to round-up its best collaboration collections of recent memory. *Jacket cannot actually stop a bullet, do not wear as Kevlar. Golden Bear for Oi Polloi Baseball Jacket – In teaming up with Manchester’s Oi Polloi, Golden Bear lives up to their name. 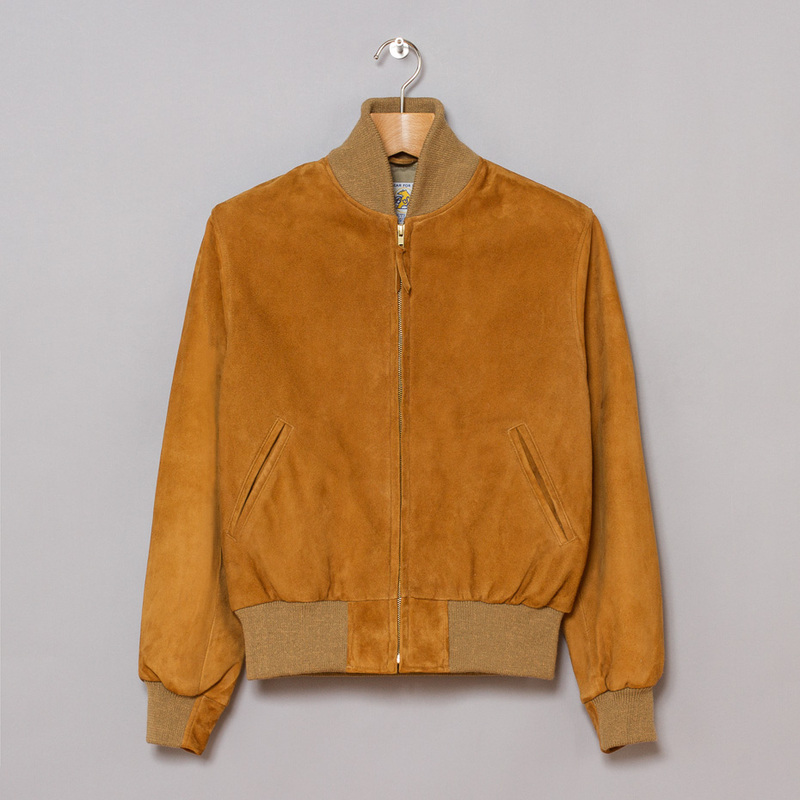 This golden suede jacket is a riff on a classic baseball jacket, with a high, slim fit and two slanted front pockets. You might want to stay on the sidelines in this one though, lest you scuff up that suede. 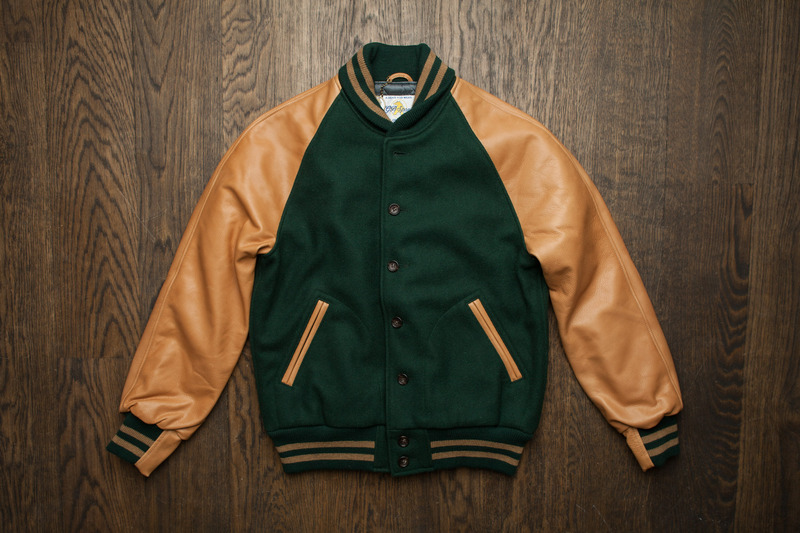 Golden Bear for Frans Boone Varsity Jacket – Dutch destination shop Frans Boone decided to stick with the classics in creating this Starksy & Hutch-esque varsity. Featuring a quilted lining, calfskin sleeves and a melton wool body, this is the jacket that made Golden Bear famous, so why mess with success? Well actuallyâ€¦. 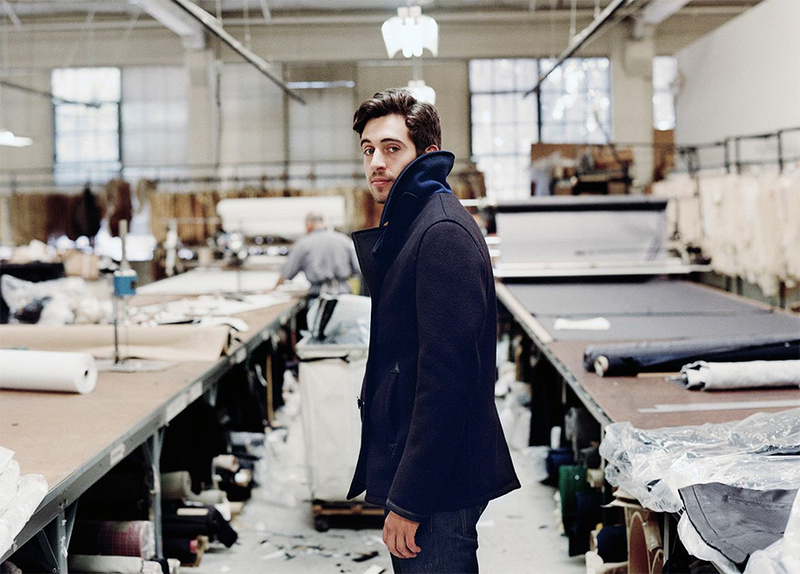 Golden Bear for Engineered Garments Short Hunter Jacket – Pulling pieces from Golden Bear’s most well-known jackets, this model from Engineered Garments is a frankenstein piece done right. With the body of a varsity and the details of a bomber, this hybrid jacket is a lesson in how to properly update a classic design. The black-on-black varsities they did for sale at Working Title in Toronto are brilliant. Love mine.